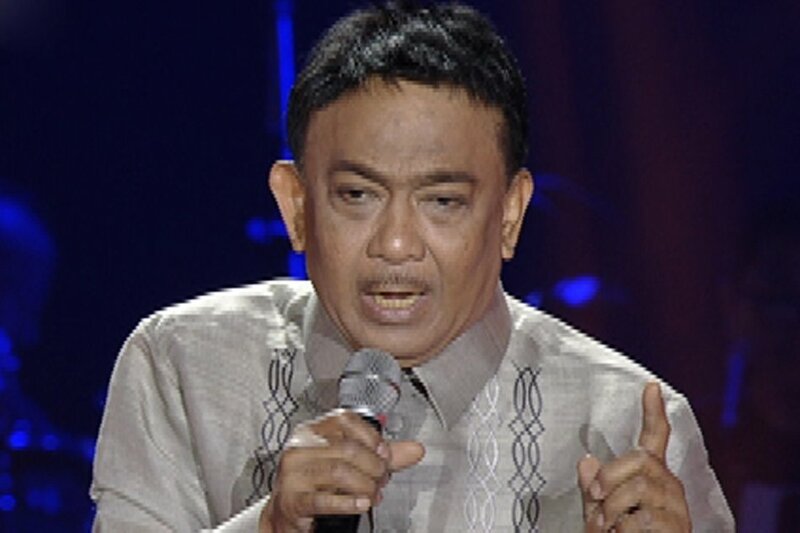 Rico J. Puno Pumanaw na. 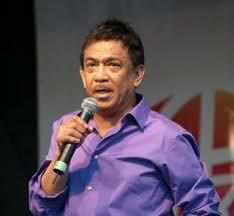 Singer and OPM legend Rico J. Puno passed away on Tuesday, according to a report on Unang Balita. 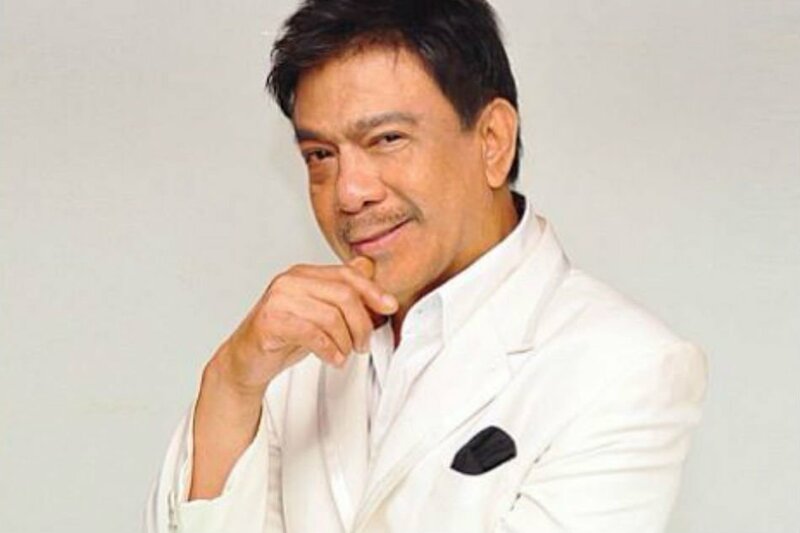 The report was confirmed to GMA News by his manager, Anna Puno, Star Media Entertainment president and CEO. In an interview on Dobol B sa News TV, Norma Japitana, Rico J. Puno's manager for 35 years, said the singer went to a hospital on Sunday for a regular checkup but was not allowed to leave the facility. 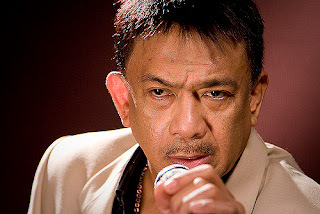 "Actually, he was there at the hospital for a regular checkup and then hindi na siya pinaalis," she said, adding the singer's cause of death was "heart-related." 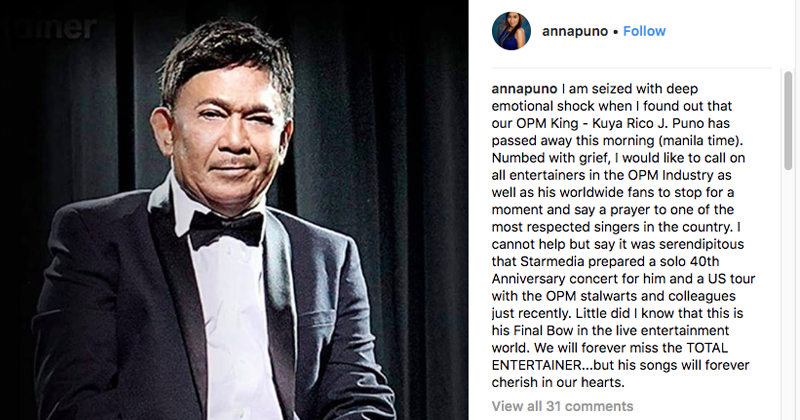 Japitana said Puno underwent heart surgery in the past and received a pacemaker in August. 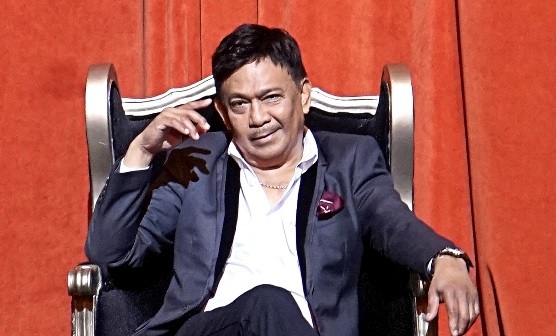 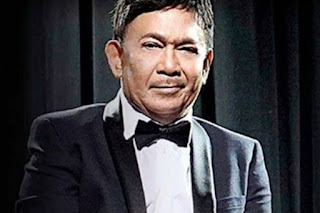 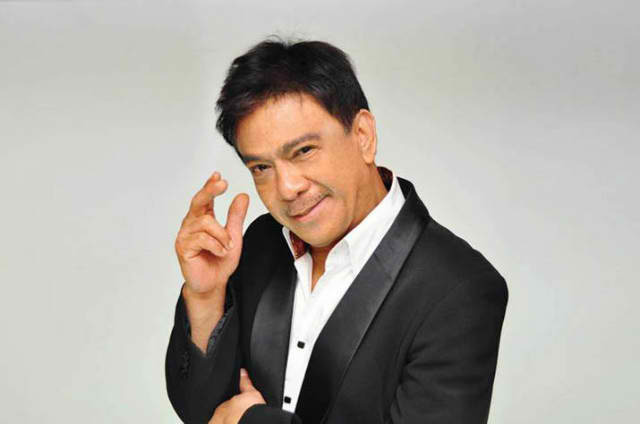 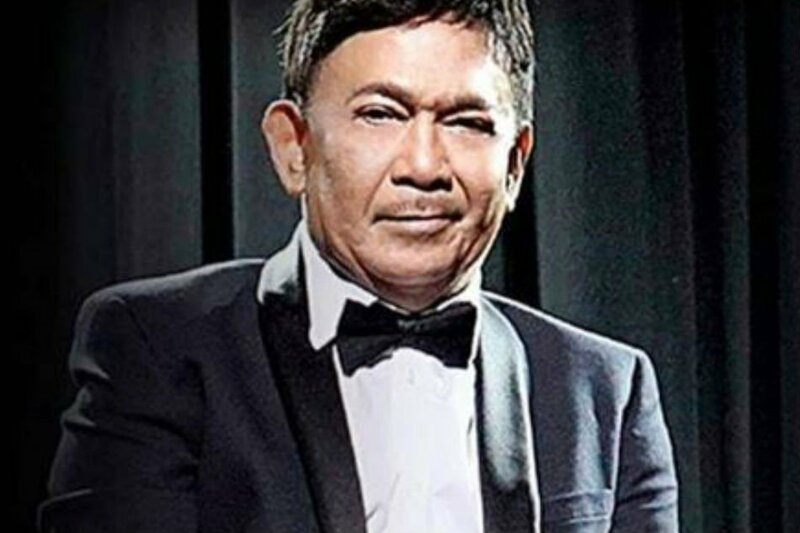 Rico J. Puno, known for such hits as "Kapalaran", "May Bukas Pa", "Macho Gwapito" and "Magkasuyo Buong Gabi," was supposed to hold a concert in November, according to Japitana.